No matter how carefully you drive or where you choose to spend your time driving, dents are an unfortunate reality for any car owner out there these days. Although minor dents may not inhibit your car’s driving ability, they affect the cosmetic appearance of your vehicle and may also lead to larger issues like frame alignment, structure damage, and rust if left unrepaired. Don’t let a simple dent turn into bad news for your vehicle. Here at B&K Collision, our professionals are able to work with any size dents and fix them in order to get your car looking like it used to. With years of experience along with our state-of-the-art equipment, our mechanics will repair your dent quickly to get the repairs done right the first time. We want you to be happy with the appearance of your car and we work hard to guarantee your satisfaction – and our work. Beyond dent repairs, we have experience handling all kinds of problems from car painting to scratch removal and more! We strive to make sure you are satisfied when leaving our shop. Contact us for a free auto body repair quote today. 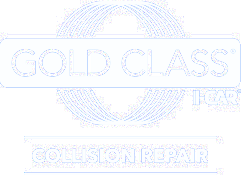 B&K Collision can typically repair dents up the size of a half-dollar coin, and sometimes larger depending on the damage. The depth and diameter of the dent will have a large impact on how repairable the dent can be. 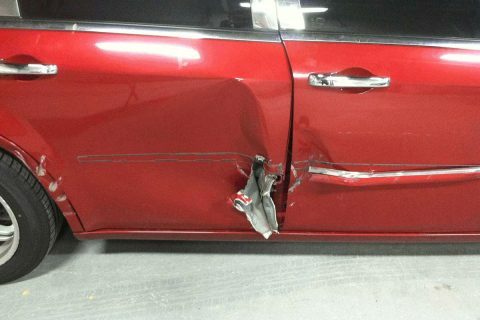 Will the dents come back after the repairs are done? Not typically! Metal has a ‘memory’ of sorts in its molecular structure, and once the structure of the metal is realigned to its original form it will stay there (unless further damage is incurred). How long does it take to repair dents? That all depends on the size of the dent and the severity of the damage, but B&K Collision has several locations and an experienced staff to get the work done as fast as possible.